You may not know but noodles can even taste good when eaten cold! Summer has finally arrived to the Netherlands, the temperature of 30 degrees did not only bring summer to the country but it also took away some of your appetite I believe. For me, it is always very difficult to decide what to eat during real hot summer days. If I could, I would eat chilled watermelon all day long! 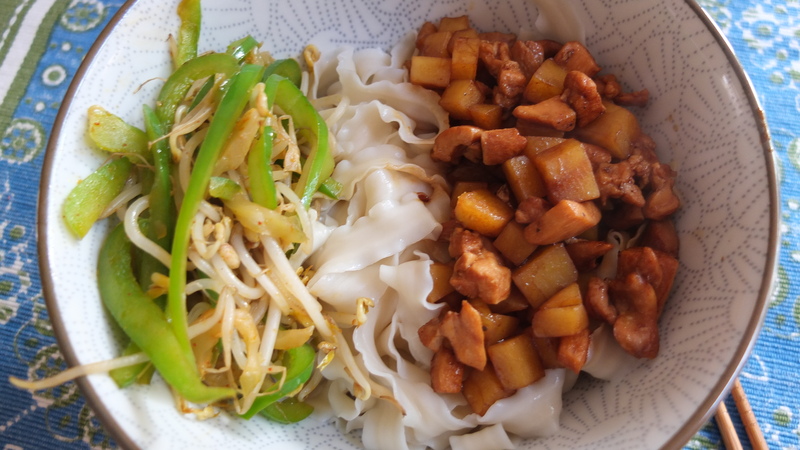 But hey, instead of noodle soup you can have cold noodles in summer days. The light taste and texture will bring your appetite back and you still get a healthy meal, no matter how hot or how cold it is. First cut the chicken thigh in pieces, dice sized preferably, and marinate them with 1 table spoon of rice wine, a pinch of salt and grinded pepper for 15 minutes. 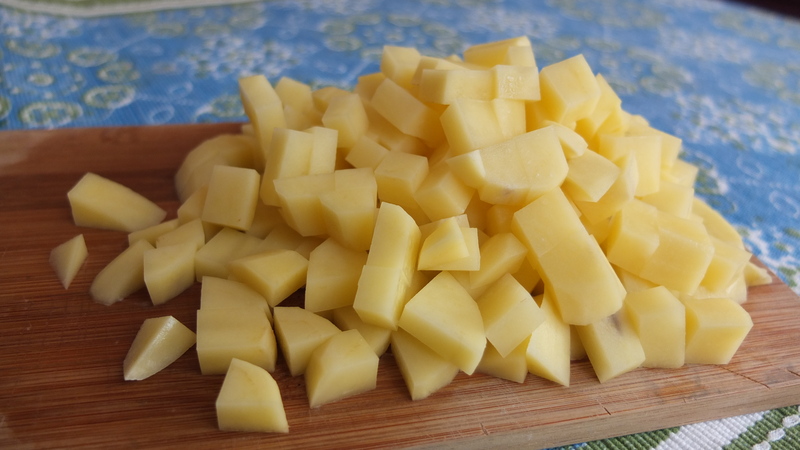 Then cut the potatoes in the same size as the chicken thigh. 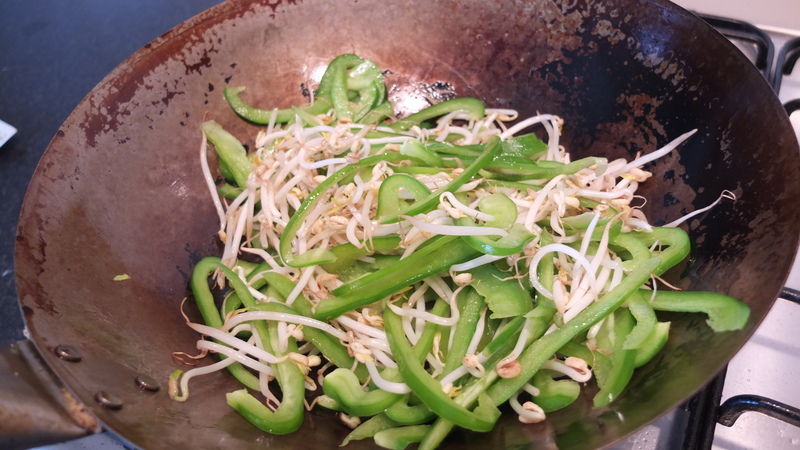 Clean the bean sprouts and pepper, slice pepper into long and thin strips. 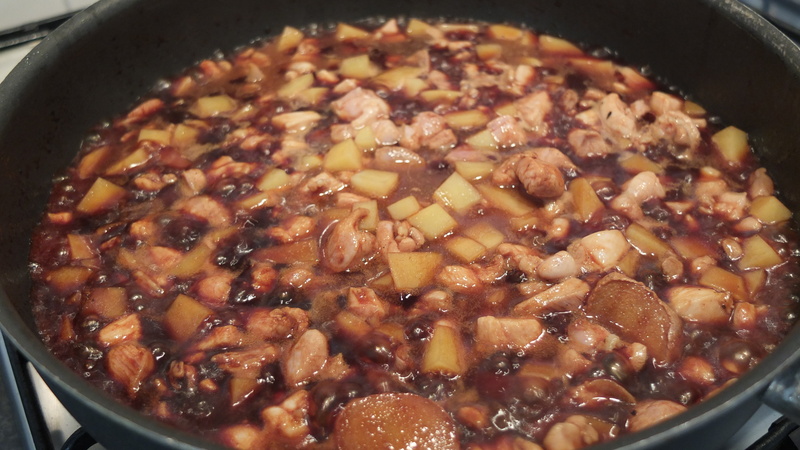 Heat the pan with some oil and when the pan is getting hot, put some ginger slices (2-3) in , toss the chicken thigh in the pan, and stir fry the chicken until most of them are cooked. 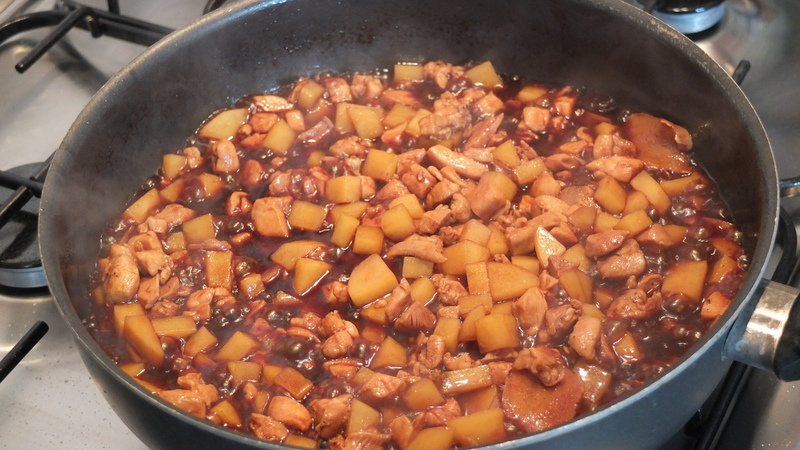 Now you can put the potatoes in the pan, and stir fry them together with the chicken thigh. Pour 2 table spoons of light soy sauce, 1 table spoon of dark soy sauce, and 1 table spoon of sugar in the pan. Stir fry a bit more, then you can add 1 glass of water. It takes about 10-15 minutes for the dish to be fully cooked and flavored. Do not reduce too much of the sauce in the dish, as you want to have the sauce to cover your noodles later on. In other words, it shouldn’t become too sticky but it also should not be too watery. 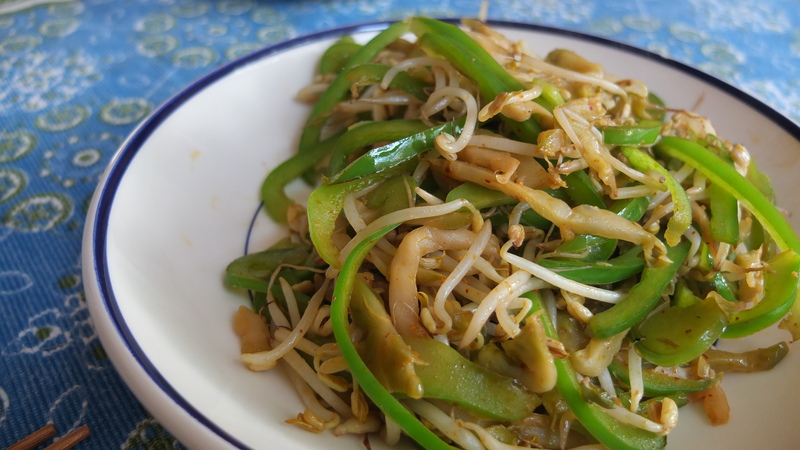 Quickly stir fry the bean sprouts and green pepper together with some salt and chicken powder. Just before the dish is done, put the Chinese pickles in the pan to quickly season the dish. Why do you have to put the pickles at last? 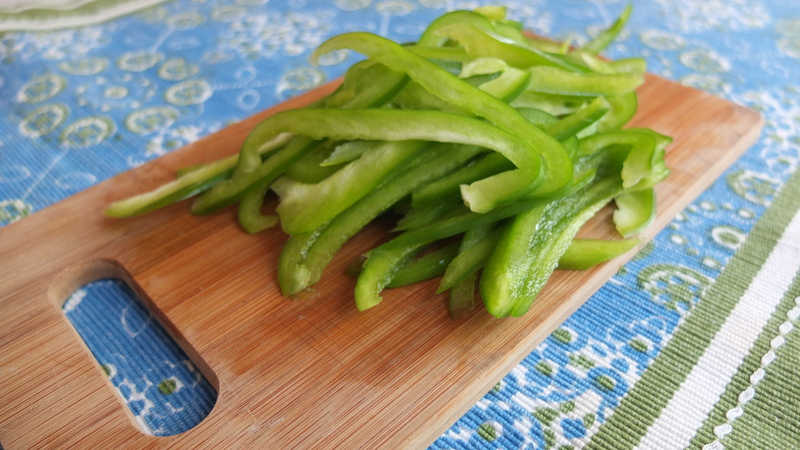 Because if you cook the pickles for too long, they will not be crispy anymore. Total cooking time will be about 5-7 minutes. 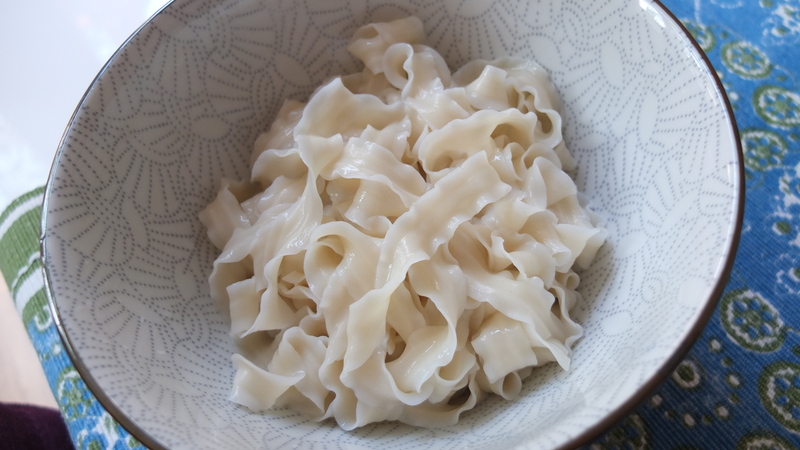 Boil a big pan of water, put the noodles in the pan when it is boiling. 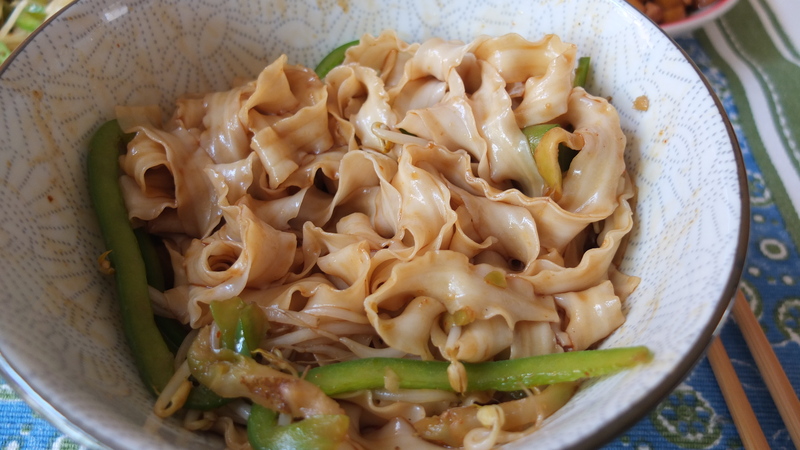 Stir it with chopsticks or forks (whatever you prefer) to avoid the noodles sticking together. When the noodles start boiling again, pour 1 glass of COLD water in the pan, this way the noodles will be fully cooked and they taste better. Repeat this step one more time, then you can get the noodles out. 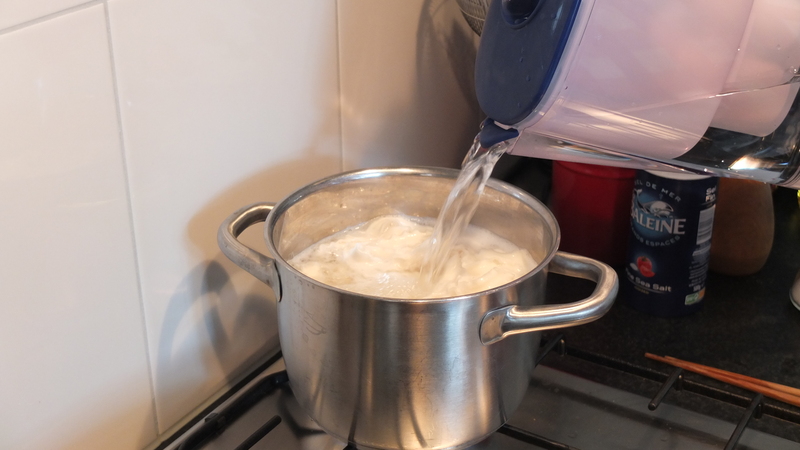 Remember to flush the noodles with COLD water, until it is fully cooled down. Drain the water out, now the noodles are ready to serve. 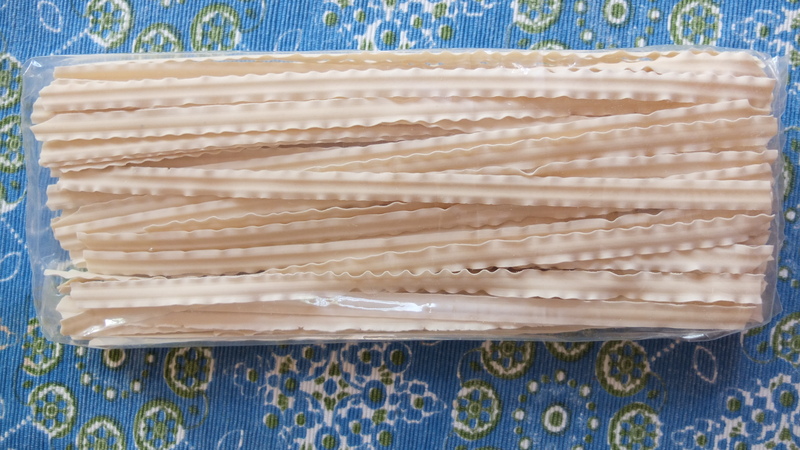 You can’t use really thin noodles for this dish. Because if you use really thin ones, they will stick together once you get them out of water. 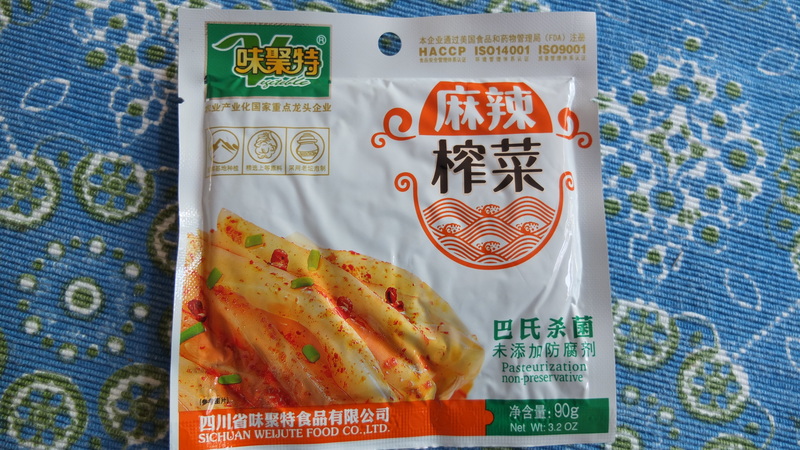 So try to buy the noodles which are a bit thicker. Put half of the noodles in a big bowl, put the toppings and some of the chicken dish sauce on the noodle. Mix the toppings with noodles evenly, you can add some vinegar (1 tea spoon) if you like a more refreshing acidic taste, or some chili pepper if you like it more spicy.